Elk County in Northwestern Pennsylvania. seasons and have glorious foliage each fall. Junior Council Persons Makailla Carnessali & Tori Haynes attended the April 2, 2019 meeting of the Elk County Commissioners as part of their continuing education of what goes on at the local government level. Shown in photo left to right - Elk County Commissioners Matthew Queensbury, Dan Freeburg, Jan Kemmer, Johnsonburg Council Persons Makailla Quiggle, Tori Haynes, Borough Secretary Rachel Kilhoffer and Johnsonburg Borough Council President Al Maletto. The girls also toured the Elk County 911 Center with a tour from Mike McAllister, Elk County Emergency Management Director. 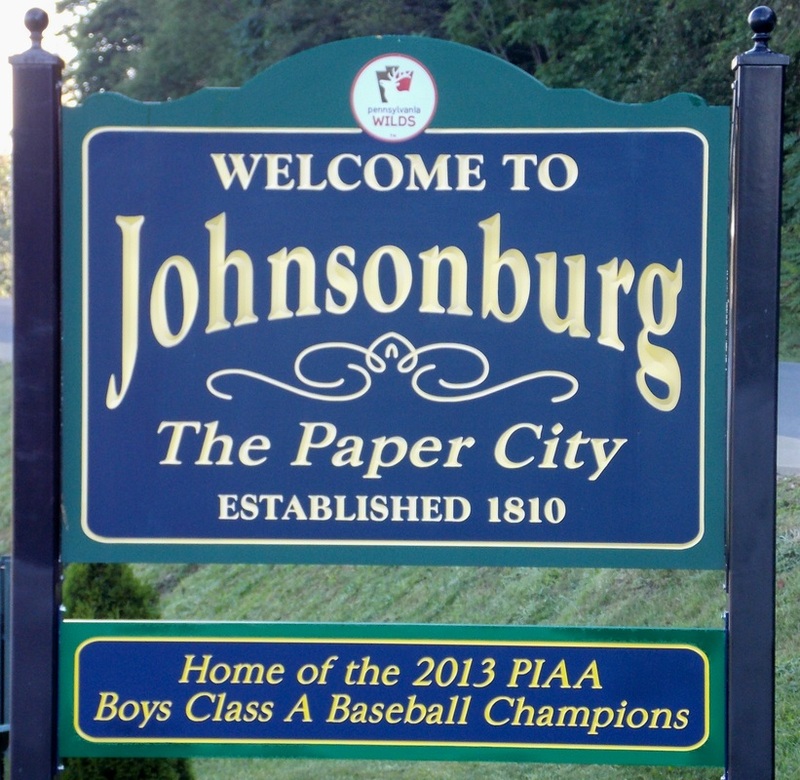 Here it is, our video from Johnsonburg, PA!